Last entry (Read it here! 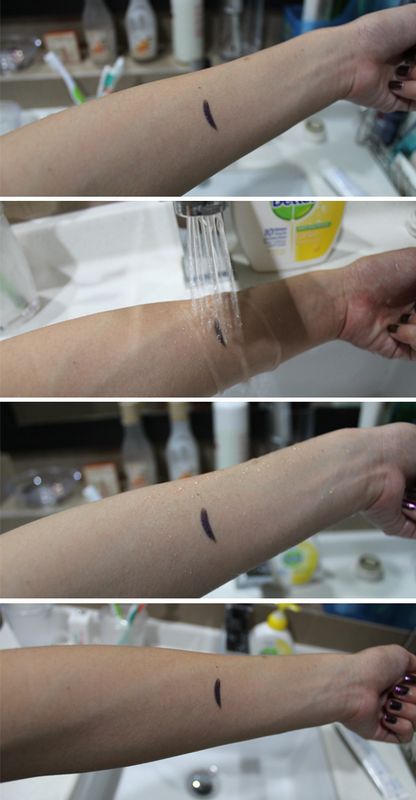 ), I introduced Clio Professional's Gelpresso Waterproof Pencil Gel Liners. Today, it's going to be a review. We will find out just exactly how waterproof and long lasting they are! I used the liner in 6 Star Purple (for my experiment. Haha. I feel like I'm working on a science project.). First, my waterproof test! The liner did not budge at all underneath the mini waterfall. The shade was as deep as before. When I dabbed it dry with a tissue paper, none of the liner got transferred over. I don't know about you ladies, but I'm always afraid that I'll be caught in the rain. Besides (obviously) exposing myself to flu bugs, I may end up walking around with black tears (From my mascara/ liner.) without realizing it. And that would really be quite embarrassing. This makes my waterproof test very essential and hurray! 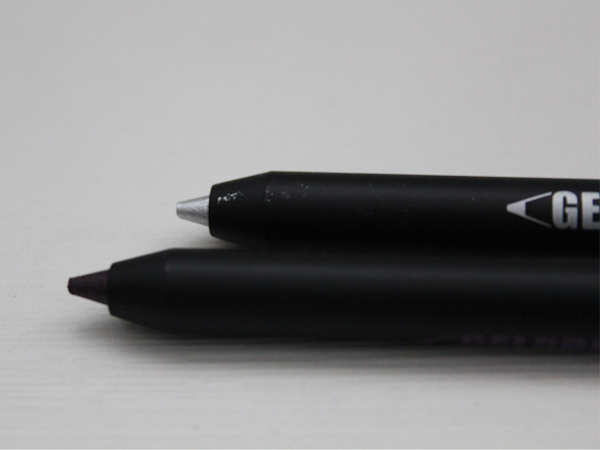 The Gelpresso Waterproof Pencil Gel Liner passes it! Rubbing the liner after drenching it in water did, however, smudge it quite a bit. But I don't suppose you will be rubbing your eyes when you have done up your eyes prettily. Lastly (And probably the most important, out of the three. ), the durability of the liner. For the test, I did not apply any primer so that there aren't any factors affecting the results. Haha. Okay, I just wanted to test the liner, and only the liner alone. I drew on my eyeliner at 7.25am, doing a simple stroke across the length of my eye lid. I tightlined as well. After lunch, which was about 1.45pm, I noticed slight smudging below my eyes. And by the time I got back, which was 9pm, my eyes were as pictured above. All in all, I think the Gelpresso Waterproof Pencil Gel Liner is a pretty decent eyeliner. I did not use a primer at all and from the above photo, the shade of the liner is still pretty deep. The tail wore off slightly. 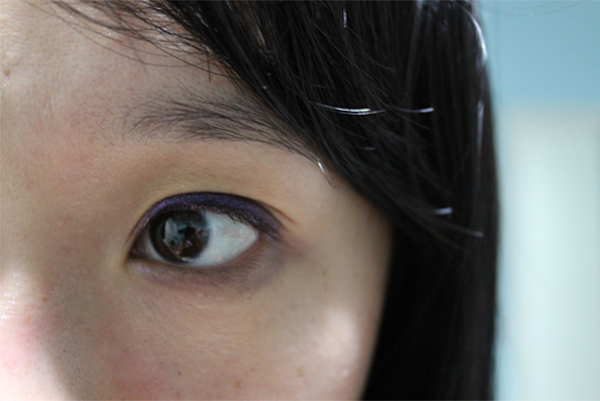 I think it was the liner which I used to tightline that got smudged beneath my eye, with my blinking. But then again, this happens with all my other pencil eyeliners. Will I purchase the other shades of the Gelpresso Waterproof Pencil Gel Liner? Yes, I will! Especially Beige Shine, since I misplaced my Urban Decay's 24/7 Glide-On Eye Pencil in Midnight Cowboy *cries*. I'm not sure if it's a dupe but either way, I think the Beige Shine will be lovely when drawn on the inner corners and beneath the eyes! Alrighty, thanks for reading! :D Do check out Clio Professional when you're in Watsons!